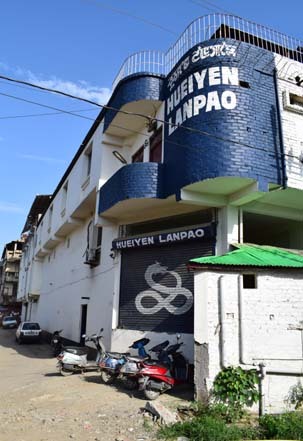 Established in 1978, the Hueiyen Lanpao Group of Publications is one of the oldest media houses not just in Manipur but also in the entire North Eastern region of India. With a dedicated team of well-experienced staff, the publishing firm is well-versed in all aspects of communications and reaching out to the masses. Owned by Soubam Niladhaja Singh, the firm has its head office at Sega Road, Thouda Bhabok Leikai, Imphal-795001. It is to his enterprising spirit that the Hueiyen Lanpao Group of Publications is emerging as a leading media house in the North East India. The Hueiyen Lanpao Group of Publications initially started off with news print in vernacular, which is in Manipuri but in Bengali script. But over the years, the firm has expanded its scope with additional morning dailies in English and Meetei Mayek, the first Daily in our native script, thus becoming the only media house in the whole region to bring out three dailies successfully. This is one distinct advantage that the Hueiyen Lanpao Group of publications has over any other media companies in the region in ‘getting connected’ and reaching out to every sections of society. This is one testimony to the fact that the Hueiyen Lanpao Group of Publications has captured the hearts of the people as the trusted ‘messenger to the masses’, just like its motto. Apart from publishing morning newspaper daily, the Hueiyen Lanpao Group of Publications also publishes books and periodicals. keeping abreast with the changes taking place in the field of telecommunication the world over today, the company also has own website through which it communicates with the outside world.